While many of us look forward to the days when our daily commute is a distant memory and we can spend our days doing just exactly as we please rather than sitting at our desks with our noses to the grindstone, our dreams of retirement are often overshadowed by financial fears. Will we have enough to live off once we no longer have a regular salary coming in? While this is a valid concern that you should not take lightly, there are certain areas of expenditure which are often eliminated in retirement, easing some of the financial pressure you are under during your working life. If you are sensible, you will have regularly been squirrelling away a percentage of your income for the future. For most people, that percentage will fall between 5 and 20% of income. Once you retire, that future has essentially arrived and the tables have turned. It’s now the turn of those hard-earned savings to support you. For many of us, travelling to work comes at a hefty cost. British commuters, for example, spend on average a massive 17% of their income just on getting to work. In retirement you will no longer have the need to buy that annual rail ticket which translates to significantly reduced expenses. Similarly, if you drive to work, you may eliminate the need for a second car when you no longer retire – a big saving when you consider that running a car costs on average almost £3,500 in the UK (admittedly the most expensive country in the world when it comes to car running costs). Many homeowners succeed in paying off their mortgage before they retire which will shave thousands per year off the household budget once they are retired. Others may be able to downsize or move to less expensive areas once they are not tied to a location in a costly commuter town, saving money whether they own or rent a property. Many people can even free up equity from their homes to boost their pension pots. While no-one is suggesting that you should let your standards slip, when you no longer have to go into an office every day, you will undoubtedly spend less on clothing when you have scant need those dry cleaned suits and pressed shirts on a daily basis. As you get older, your insurance needs will change, and more than likely reduce. If you are sensible enough to have critical illness cover (which we usually recommend), it will become obsolete when you are no longer working. Similarly, your life insurance requirements may well be diminished once dependent children grow up and are no longer reliant on you financially. A word of warning though, seek professional advice before cancelling your life insurance policies as this is not a step to be taken lightly. National insurance contributions will also become a thing of the past once you retire but do bear in mind that these savings may well be cancelled out by the increasing cost of health insurance when you age. 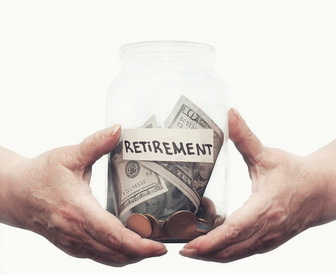 Opinions vary but most financial experts estimate that you will need around 70-80% of your pre-retirement income to sustain your lifestyle and maintain the same spending power. While all this is positive news when trying to work out your pension requirements, it is certainly not intended to give you an excuse to rest on your laurels when it comes to saving for retirement. The fact is that we all need to take financial responsibility for our own future and that means putting in place a comprehensive financial plan to ensure that we will have enough money to live out our golden years without running out of money. If you need help with achieving that, please do get in touch for an appointment with one of our professional financial advisers.